Just a short post for today. 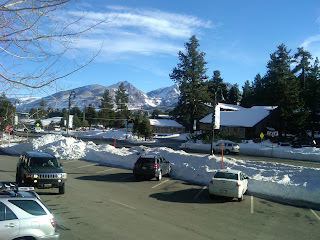 I spent the holiday snowboarding in Mammoth, so I only had limited internet access for a few days. 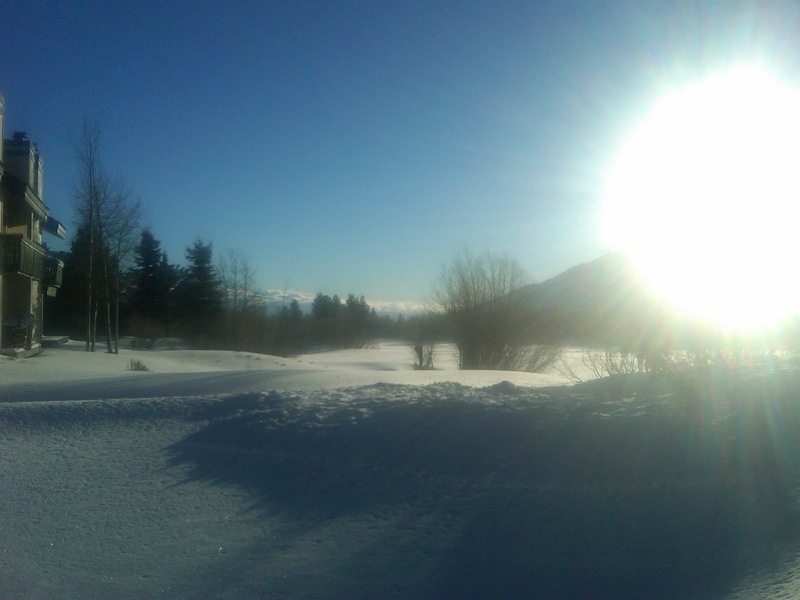 But for views like this, I'll give up a bit of web access. And the time off was great! The view from town is pretty nice. Who wouldn't want to have a morning like this. 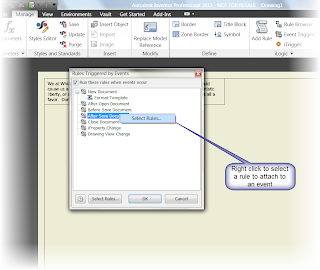 For today, I wanted to expand upon last week's post and talk about Event Triggers in iLogic. 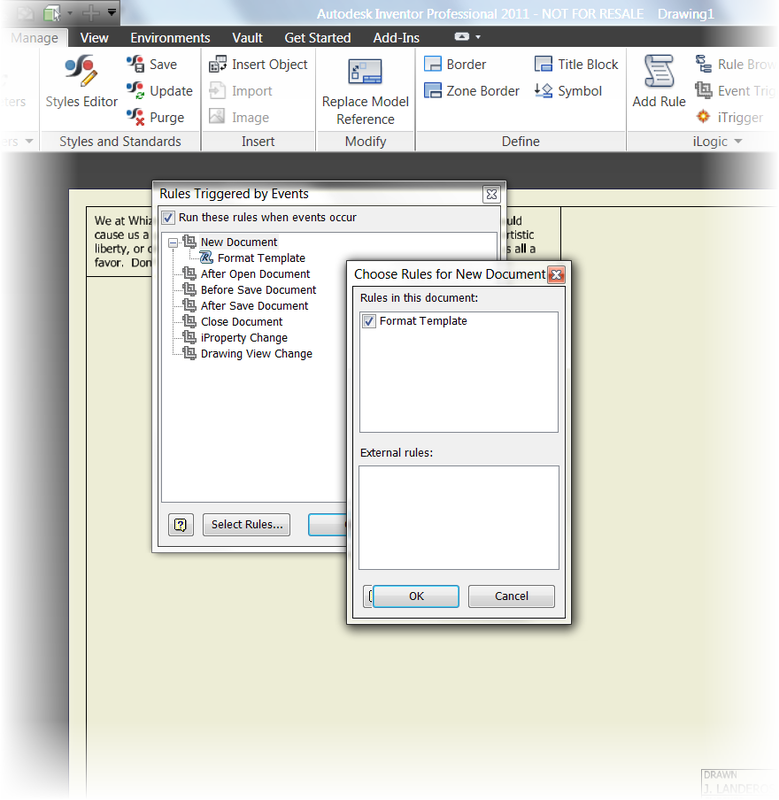 In that post, I talked about creating a rule to choose my sheet size, border, and title block by choosing them from a dialog box created in iLogic. 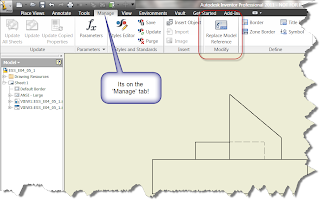 This rule could be fired by clicking the iTrigger icon on the 'Manage' Tab in the drawing. But what if you want a rule to fire automatically, under a specific condition? That's where an Event Trigger can come into play. By clicking on the Event Trigger icon, you can specify the condition under which a rule fires without you explicitly asking it to. 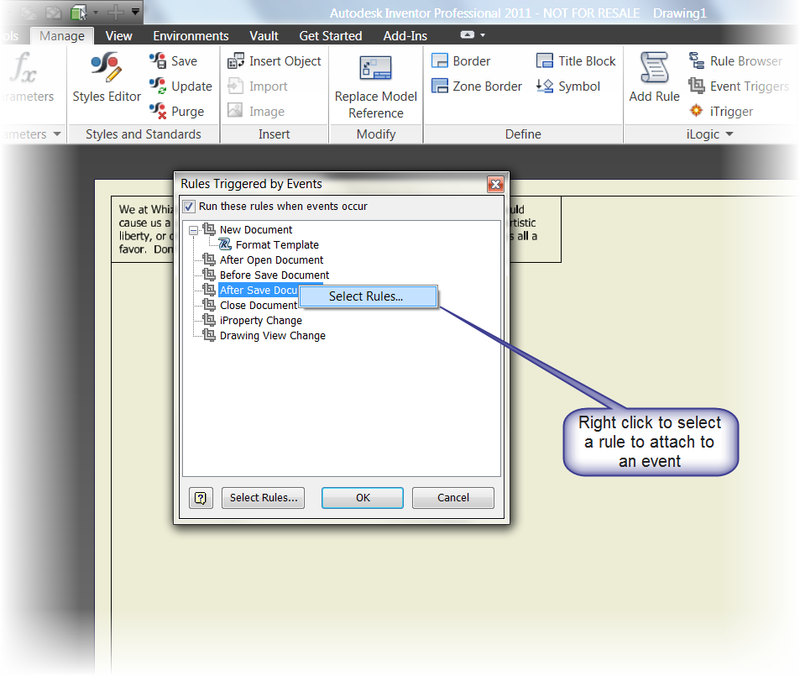 1) Click Event Trigger from the 'Manage Tab'. 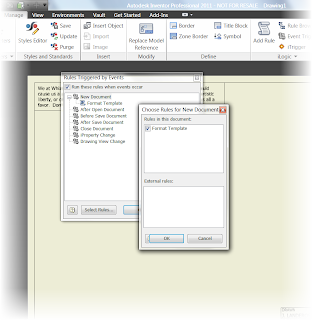 2) Right click to edit an event. One you do that, you can now fire the rule when you want it to. 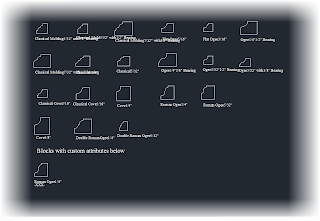 For example, when I start this file from a template, the option to choose my sheet size, border, and template fires up automatically! 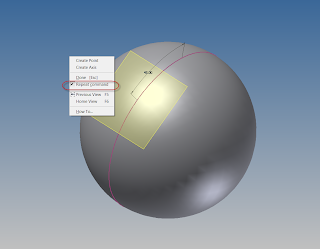 I've added the file I used in this blog post to the GrabCAD website if you want to download it and take a look. 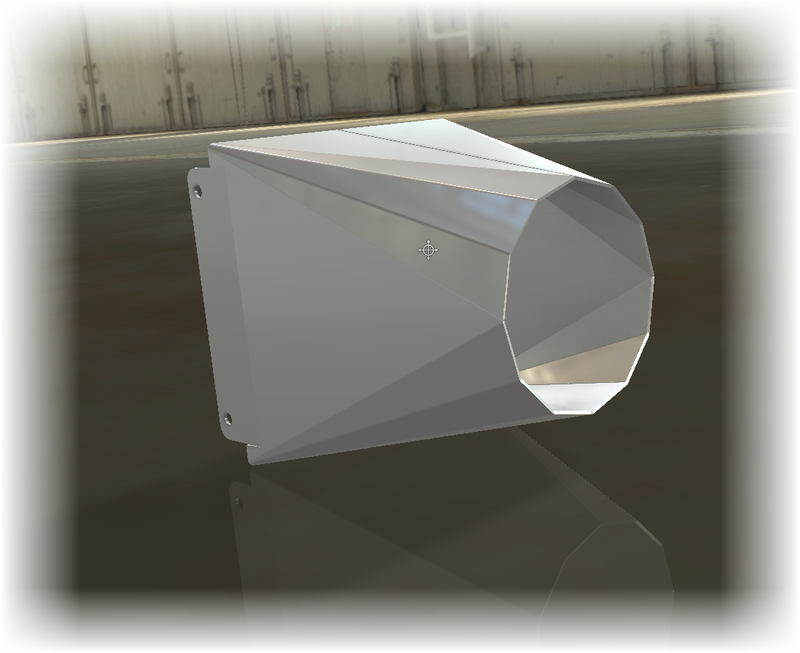 You do have to be a member, but I think you'll find that it's a great site with a lot of free CAD models. As I was wrapping up my videos for the Autodesk Manufacturing Academy, I found a video that had slipped through the cracks. I had recorded it, but I hadn't produced it. So I finished it up and added it for this weeks post. 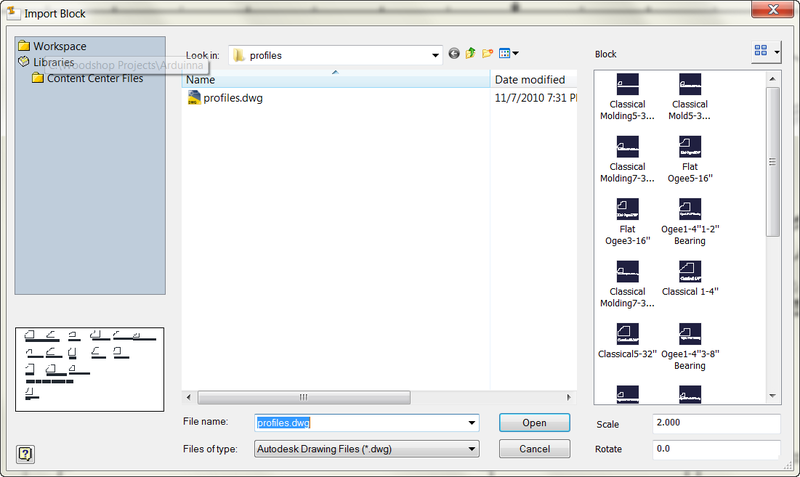 This video discusses how to change drawing formats with iLogic. One more note before you look at the code below! If you use event triggers, you can fire the rule automatically. 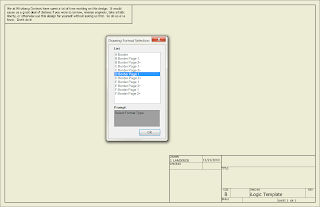 For example, the image below sets the drawing to fire it's rule when I start a new drawing. If you set this from a template, the drawing will ask you which drawing format you want when you start it! So without further delay, here's the video! Here is the full code for this particular rule. 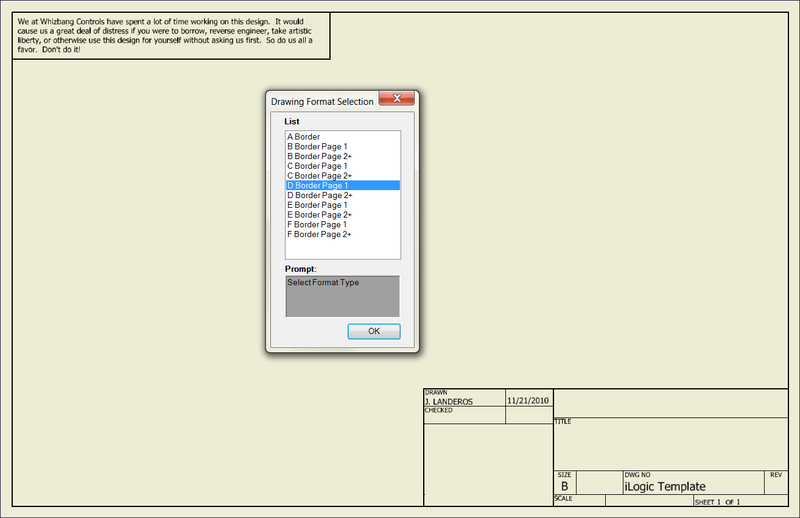 Once you get the first couple of rows down, it's a matter of copying, pasting, and changing options to get the others. 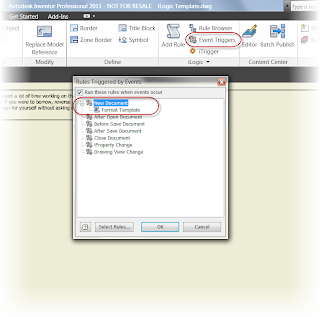 ActiveSheet.TitleBlock = "Small Border Title Block"
ActiveSheet.TitleBlock = "Large Format Page 1"
ActiveSheet.Border = "B thru F Border"
ActiveSheet.TitleBlock = "Large Format Page 2"
"My intention was never to disrupt security. The fact that I logged on when there was no password meant that there was no security to begin with." 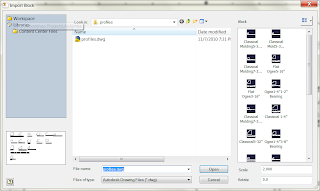 Today's blog contains a video created by KETIV Technologies own Mike Carlson. I provide the narration, but this time, I'm only giving a voice to his expertise. We've all had it happen. A password is forgotten, or a user parts ways with the company, taking their password with them into the wilds of the outside world. So how do you access that account when the password has been lost to the ages? The video created by Mike shows you how. Before we get started, make sure you're logged in as the Administrator (or have the Administrator logged in), since changing the password to another account is an Administrator privilege! It's good to be king, isn't it? Recently, I found that I wanted to use some data in my Inventor drawings. 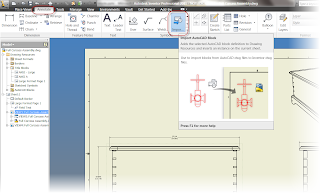 The problem was, that the only resource I had available to me was a group of AutoCAD blocks. 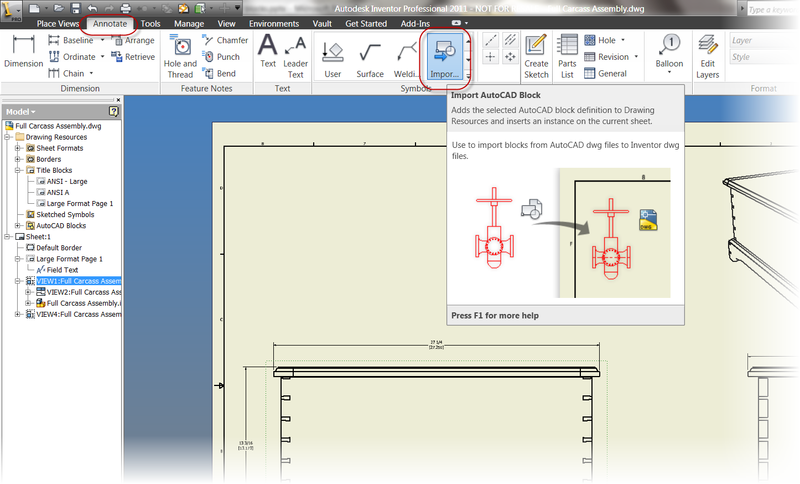 Fortunately after Inventor 2010, we can reuse AutoCAD blocks inside of Inventor. 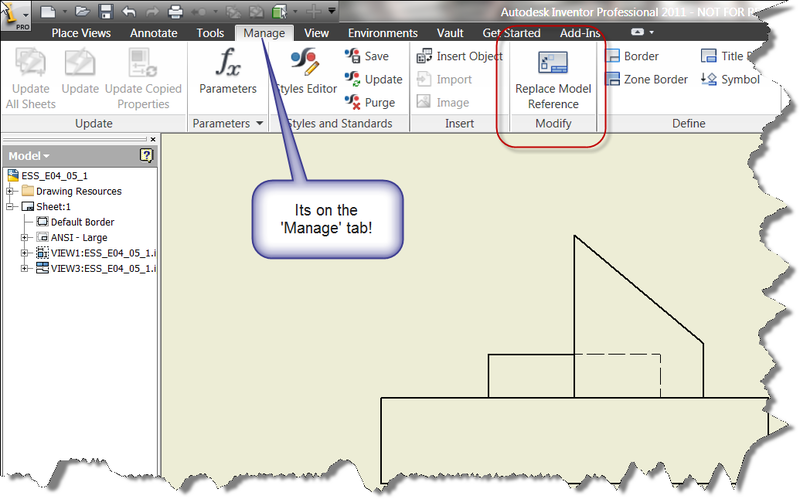 On the Annotate Tab, you can choose "Import AutoCAD Block" to reuse your AutoCAD blocks. And of course, here's the video on how to do it. Finally, a couple of notes. There is one thing to be aware of. 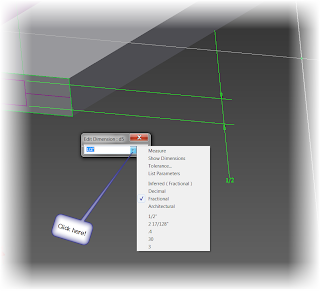 The blocks only work in the Inventor *.dwg file, not in the *.idw file. 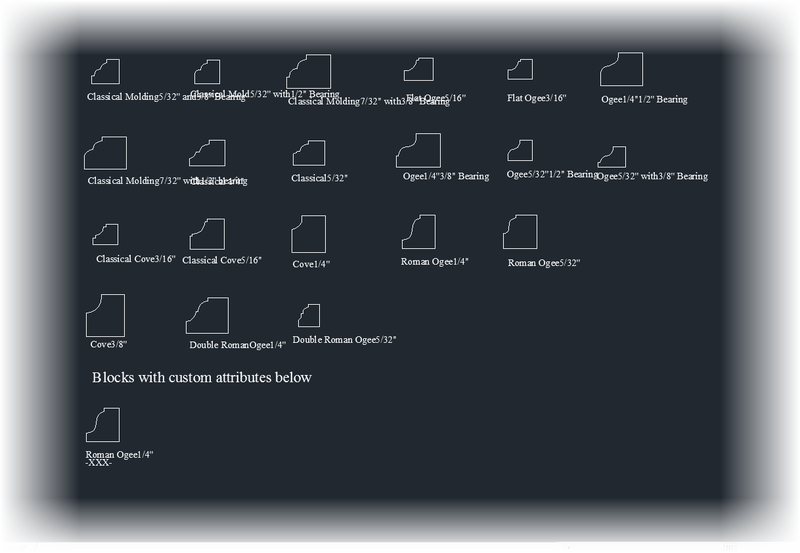 It;s the only place I can think of where I've ever noticed a difference between the two files. I'm not sure if the exact whys of this one, but it would be remiss of me not to mention it. Also, I would be equally remiss not to thank Woodworkers Woodshop. I located these profiles here, and converted them into AutoCAD blocks that I can reuse. So if you're in the market for wood working info, swing by there site! 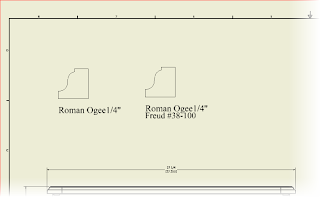 Every once in a while the export of sheet metal flat patterns comes up, and how best to export the flat pattern. One way I really like is directly exporting from the part file, primarily because it gives you several options to adjust how your file is exported. One often overlooked method is to save the settings in an *.ini file. Here's a video showing how you can export to a *.dxf from the Inventor part file. And don't forget to make sure those unfold rules are set up correctly!